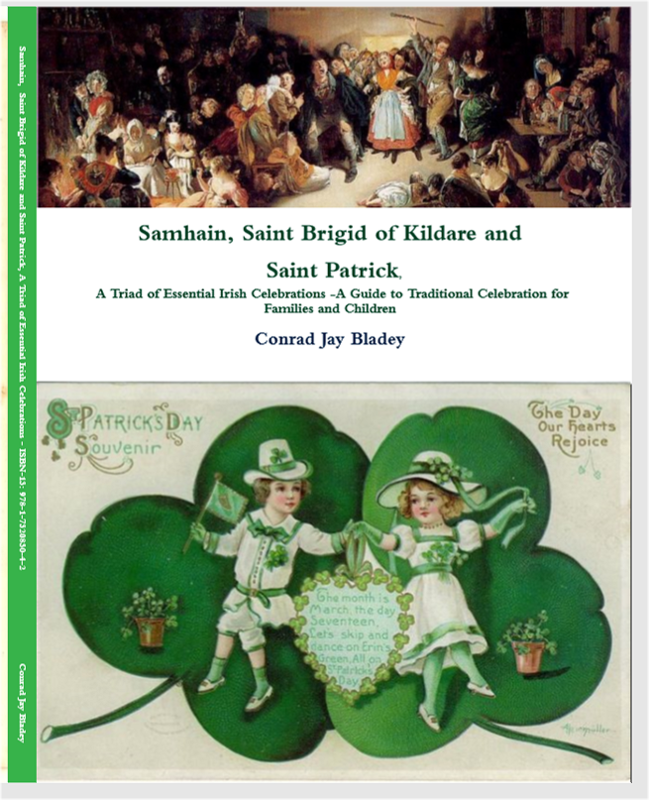 A complete guide to the celebration of the Season of Samhain, Saint Brigid and Saint Patrick including recipes. Crafts, stories, songs and literature. All that you need for celebration and for understanding how celebrations work in the Irish tradition. Many archival illustrations. Ideal for families and children planning traditional celebrations. This book is designed to provide resources for family celebration and for contemplation of the concept of the meaningful celebration for parents and scholars. Celebrations are much more than parties and events. They can be fun but can also be much more. Often including ancient practices celebrations helped humans to understand the unknown universe in which they lived. They enabled survival. I provide a collection of essential stories, crafts, recipes, music, poetry and illustrations-the legacy of the past-treasures for us to carry on into the future. I chose Samhain or the Irish Halloween as it is a very ancient custom marking the changing of the seasons. I included St. Brigid of Kildare as she is thought to have originally been a goddess. 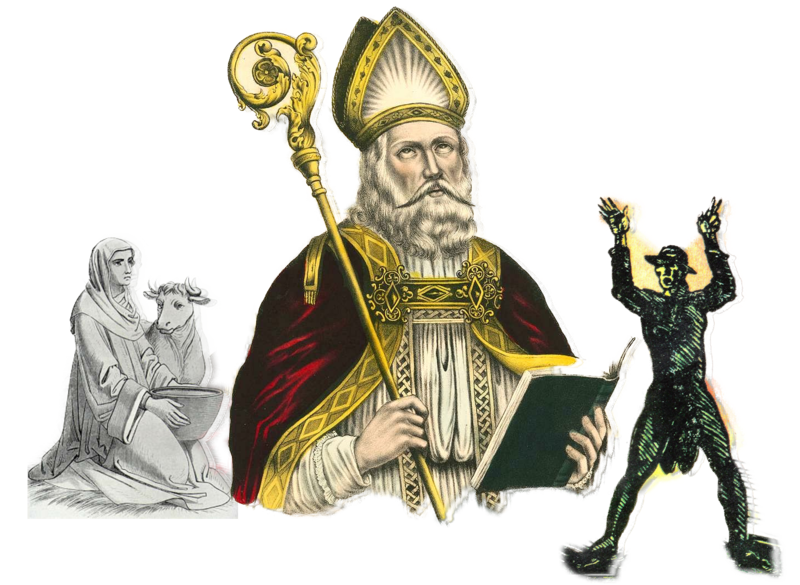 St. Patrick is include as and example of a mortal somewhat bureaucratic saint who left a long literary record. This is a great resource for constructing your own meaningful celebrations as well as a source book for research.